The small cohort of Democrats left in the Alabama Senate has elected a new minority leader. The eight members of the Democratic caucus elected Sen. Bobby Singleton, D-Greensboro, to serve as the Senate minority leader. Singleton, who was elected to the Senate in 2005, will replace outgoing minority leader, Sen. Billy Beasley, D-Clayton. Beasley will stay in leadership as the deputy Senate minority leader. Beasley was elected to the Senate in 2010. The Democrats’ new leadership will serve through 2022. Sen. Linda Coleman-Madison, D-Birmingham, will serve as minority caucus chair, and first-term lawmaker Sen. Malika Sanders Fortier, D-Selma, will serve as vice chair. As Democrats head into the next four years, they’ll face an empowered Republican majority with a slightly expanded majority. Republicans gained one seat and now control 27 of the 35 seats in the upper chamber. Senate Pro Tem Del Marsh, R-Anniston, is expected to remain in his post, and Sen. Greg Reed, R-Jasper, will remain as majority leader. Marsh presided over the Senate last year in the absence of a lieutenant governor, but Lt. Gov.-elect Will Ainsworth will now take on that role. The Senate pro tem congratulated Singleton on his election, saying the two have a good working relationship. 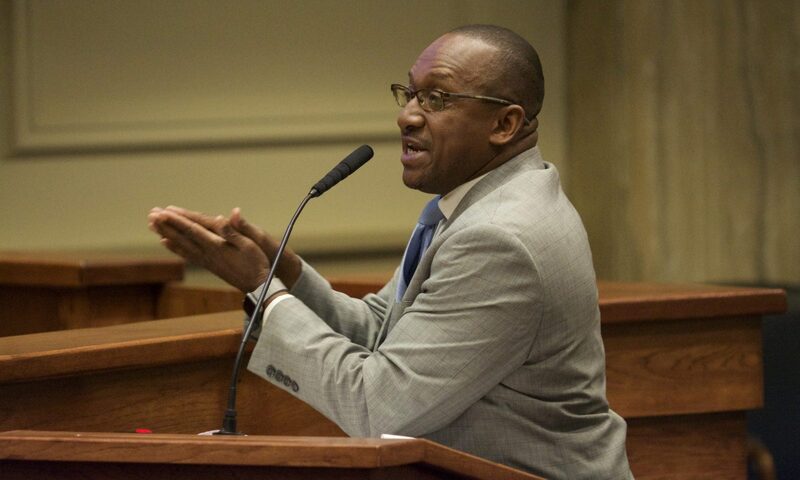 “There are many tough issues facing the Alabama Senate in the year to come and I look forward to working with Senator Singleton as we develop legislation that improves the lives of all Alabamians,” Marsh said in a statement. Downstairs in the lower chamber, Republicans control 77 of 105 House seats, gaining 5 seats in the November general election. House Speaker Mac McCutcheon, R-Monrovia, is all but assured to retain his job after Republicans unanimously nominated him for another term. The Legislative Black Caucus elected Sen. Vivian Figures, D-Mobile, as their chair. The caucus includes both House members and senators, and Figures will serve in that position until 2020, when a House member will take over the alternating role.